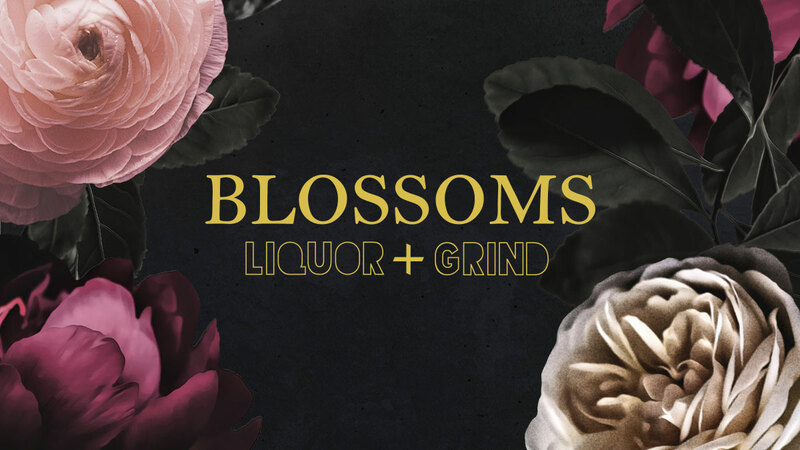 Blossoms Liquor + Grind, a new bar and café which opened in Winter 2018, were looking to create a beautiful floral haven in their historic premises on North Street in Wolverhampton. 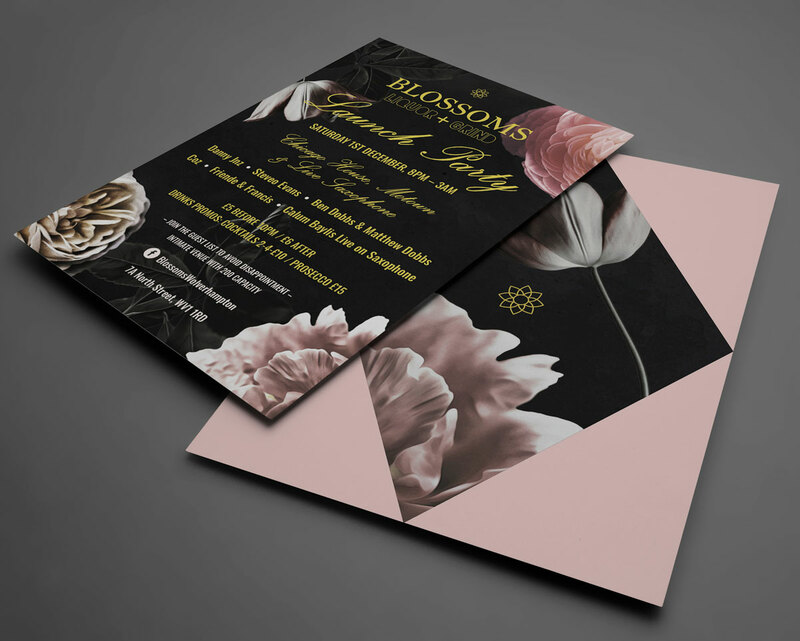 I worked with them to develop this floral aesthetic across their branded print and digital assets. I paired oversized peonies, roses and ranunculus blooms in pinks, cream and burgundy with dark gothic textures and gold typography to creates a lush and elegant feel. 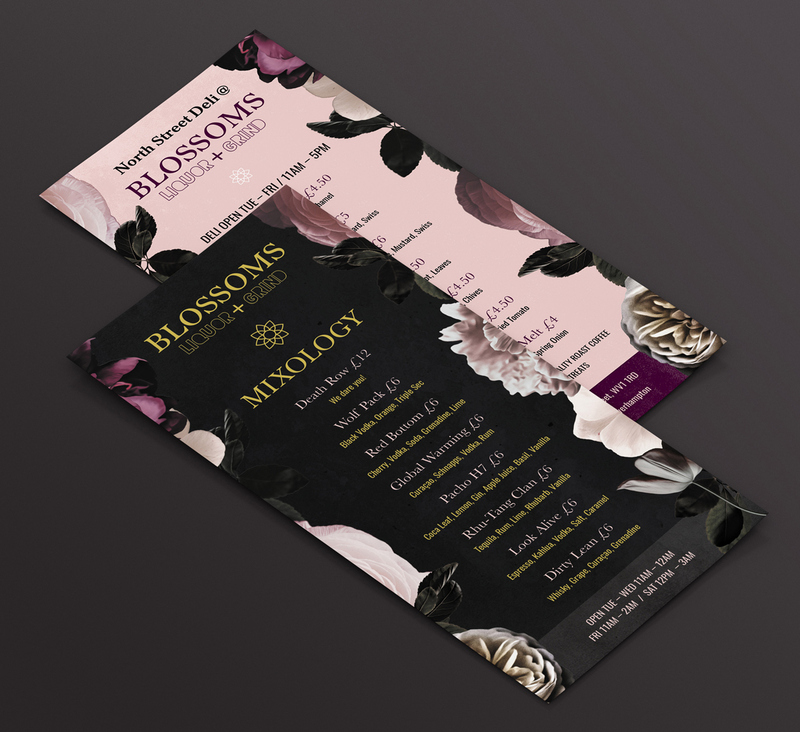 This complemented the designs for the bar’s new interiors which features hanging flowers and cherry blossom trees. 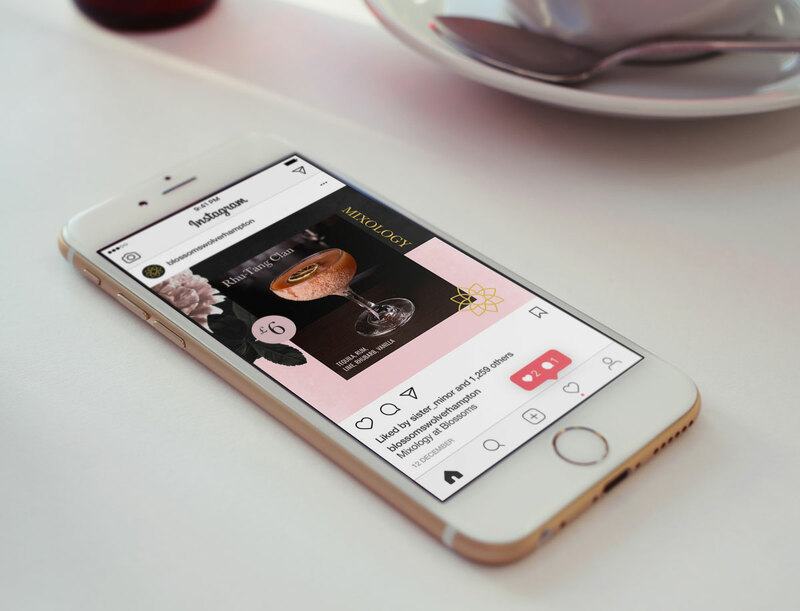 Brand collateral has included promotional flyers, cocktail menus, pumpclips, social media assets and a website is currently in development.